Need a new stick under your feet next time you head out to surf? Look no further for we have the shape and size for you. Whether you are paddling out at Tressles, T Street, or Teahupoo you will need a quality short board. For years there were only fiberglass and foamboard options, now there are super dependable epoxy boards which are much harder to ding and last longer than ever before. On our online store we have boards from Santa Cruz, Rusty, Murdey, Lib Technologies, Global Surf, and Boardworks. 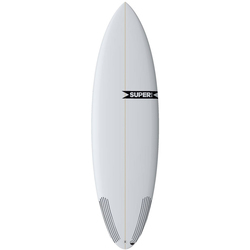 There are also quad and traditional thruster fin setups available for sale.